Tom Brady and Bill Belichick are back on top ... of ESPN's Football Power Index. Despite losing the Super Bowl to the Nick Foles-led Eagles and despite an offseason filled with questions about stability at the top of the organization, the Patriots remain the best team in the NFL and the favorite to win Super Bowl LIII, according to our FPI projections with 100 days to go until the regular season. But this isn't a repeat of last season, when we considered the Patriots the runaway top team in the NFL to the point that they had a coin-flip chance to reach the Super Bowl. This time around, New England may still be the best, but it is really a part of a three-team tier of the NFL's elite. The other two teams to make up the league's upper crust? The Eagles and Steelers. So what makes the FPI like the Patriots, Eagles and Steelers? You can read more about the process here, but the model considers each team's win total at the Westgate Las Vegas SuperBook, how that team performed on offense, defense and special teams last season, how many starters are returning, and who the starting and backup quarterbacks are. FPI's full list of ratings and projections can always be found here. The Eagles finished last season first in total efficiency across the game's three phases, but despite that and the fact that Brady is 40 years old, New England grabbed the top spot in part due to its higher Vegas win total. 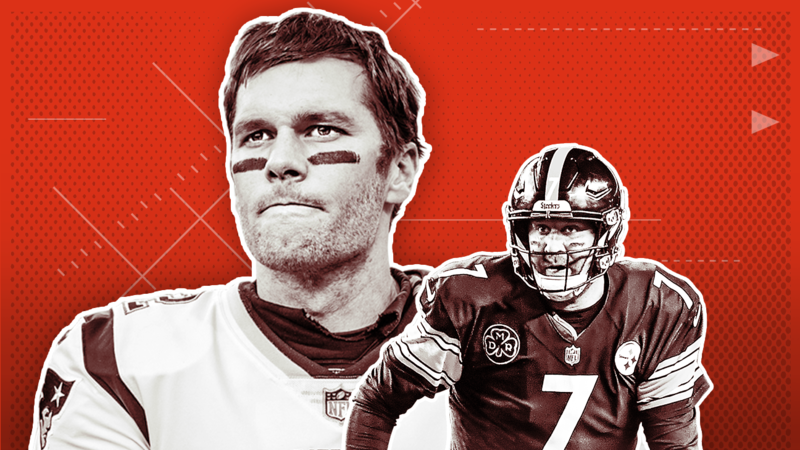 It's also no surprise that the Patriots, Steelers and Eagles are also the three most likely teams to win the Super Bowl. The Patriots are still No. 1, however, and are part of five of the six most likely Super Bowl combinations. Is the NFC the new Western Conference? The FPI started making preseason projections in 2015, and since then the conference divide within the top 10 of its rankings has been fairly even (6/4 splits in 2017 and 2015 with an even 5/5 divide in 2016). The balance of power for the 2018 season looks a little more like the NBA, with the NFC playing the role of the Western Conference. The NFC owns eight of the top 10 teams and nine of the top 12 in the FPI's initial iteration. The configuration is a little different when compared to the NBA's Western Conference as there is no Warriors-like overwhelming title favorite in the NFC, but the depth at the top overall is quite similar. All four divisions in the NFC have a team that ranks within the FPI's top six, with multiple representatives from the NFC West (Rams second, 49ers 10th) and NFC North (Vikings fifth, Packers seventh) inside the top 10. The AFC does boast two of FPI's top three teams in New England and Pittsburgh, but you have to go down all the way to No. 14 to get a representative from the other two divisions (Los Angeles Chargers at 11 and Jacksonville Jaguars at 14). The AFC also holds the dubious distinction of being home to four of the five teams at the bottom of the rankings, including each of the bottom three. This results in a wide-open race for the Super Bowl in the NFC, where five teams are all given a 10 percent chance or better at making the Super Bowl, compared to just two in the AFC. Who will make the jump to the postseason? Every year since the 12-team playoff format started in 1990, at least four teams have reached the postseason that failed to do so the year before. If that pattern were to hold true in 2018, the most likely teams to ascend to the playoffs are the Packers, Chargers, Texans and 49ers. It's easy to determine what the model sees in those four teams. The Packers' level of play dropped off when they were forced to put Brett Hundley under center, but with Aaron Rodgers back to normal health, they are a prime candidate to return to the postseason. Los Angeles was frankly good enough to get in last year -- FPI actually considered the Chargers the fourth-best team in the league by the end of the season -- but likely just fell on the wrong side of some random variance. 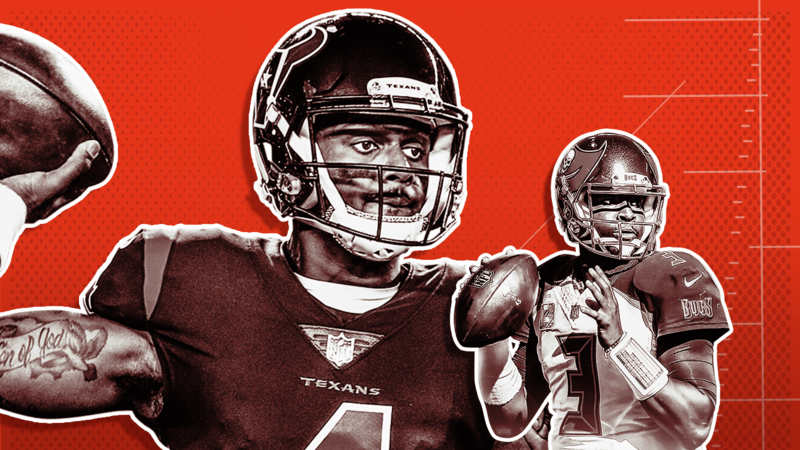 The Texans received extraordinary play from Deshaun Watson when healthy (Total QBR of 81.3), and with the model assuming normal health for the former Clemson QB, Houston has a 30 percent chance to win the AFC South. And quite clearly, the 49ers are a different team after acquiring Jimmy Garoppolo midway through last season. • Though the Jets have the worst FPI rating in the league, it's the Cardinals that actually are the longest shot to reach the postseason. The Jets have the benefit of playing in the same division as two other weak teams: the Dolphins and Bills. The Browns also are expected to be a worse team than Arizona but have an easier schedule. All three teams have a fair amount of uncertainty at quarterback, with a first-round rookie currently slated as the backup in the model. • The Packers rank seventh in the FPI overall, but actually have the second-best chance (19 percent) to land the No. 1 seed in the stacked NFC, behind only the Eagles (23 percent). That's because Green Bay is the beneficiary of the eighth-easiest schedule in the league. Green Bay (41 percent) narrowly is the favorite to win the NFC North over the Vikings (40 percent). 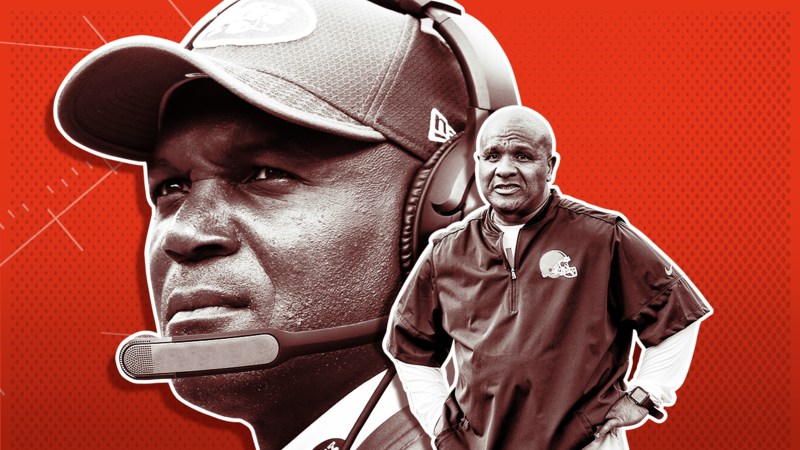 • Aside from the Packers, there is only one other team favored by the FPI to win its division that didn't win it last year: the Chargers (37 percent), who edge out the Chiefs (33 percent). In addition to rating and ranking teams, the FPI also evaluates all three phases of the game for each team. After finishing last season as the FPI's top defense, it's no surprise to see the Vikings as the No. 1 defense heading into the 2018 season. The big surprise comes at No. 2, where the Rams make the jump after finishing last season as the 11th-ranked defensive unit (and the eighth-most efficient). It's a good example of the way in which FPI works: Though the model doesn't explicitly consider the substantial acquisitions of non-quarterbacks such as Aqib Talib, Ndamukong Suh, Marcus Peters and Brandin Cooks (and the departure of players like Trumaine Johnson), those changes are in some way reflected in the team's Vegas win total. If the betting market believes a team improved over the offseason, the increase in rating is distributed to each side of the ball based on what it already knows about that team's strengths and weaknesses. Because the FPI remains somewhat skeptical of Jared Goff -- the former Cal quarterback improved after a disastrous rookie campaign but still finished only 16th in Total QBR last year -- it makes the assumption that more of the improvement is coming on the defensive side of the ball. • The FPI is not buying the Saints' defensive resurgence, as the model has pegged New Orleans as having the worst defense in the NFL, though it remains a top contender because it has the best offense. All last season, the model thought the praise being heaped on the New Orleans defense was a bit overstated, though it is somewhat surprising to see the defense ranked this low. • Last year the FPI anticipated the Broncos' decline. Now, it still believes that the Broncos' defense is excellent (No. 3 overall), but it's not buying the addition of Case Keenum as a major improvement to their offense. Because Keenum is a quarterback, he is specifically factored into the Broncos' rating, but nonetheless the model sees Denver as having the worst offense in the NFL. Though Keenum finished second in Total QBR last season with a 69.7, the FPI looks at his entire body of work throughout his career, which is much more mediocre (career QBR of 52.0). 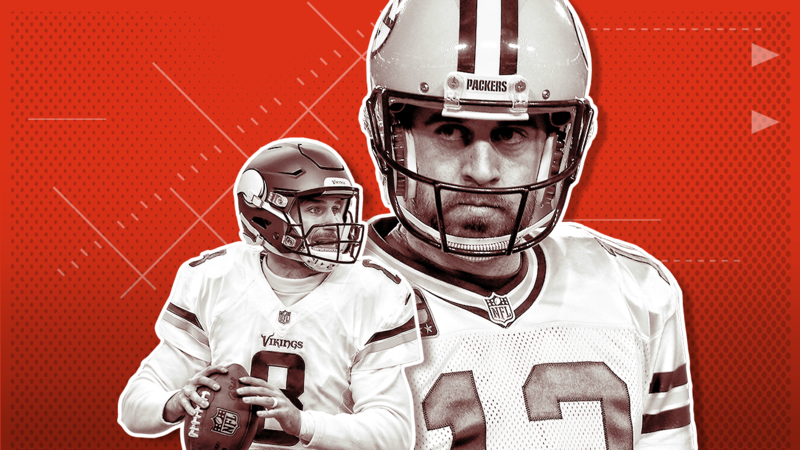 In addition, the model is slightly less confident in quarterbacks like Keenum, Kirk Cousins and Alex Smith this year because they switched teams in the offseason. Fortunately, the FPI is here to help. And there can be some large discrepancies. • It's interesting to note that the Giants, who are coming off a 3-13 campaign but are sticking with Eli Manning and trying to win now, face the fourth-toughest schedule in the league. • The Patriots have the second-easiest schedule, thanks in part to playing in a division with three other teams that all rank 27th or worse in the FPI. Browns on the clock, again? After a winless 2017 campaign, the FPI has labeled the Browns as the most likely team to earn the No. 1 pick in the 2019 draft, though frankly, a lot of the factors involved in that prediction can change substantially. 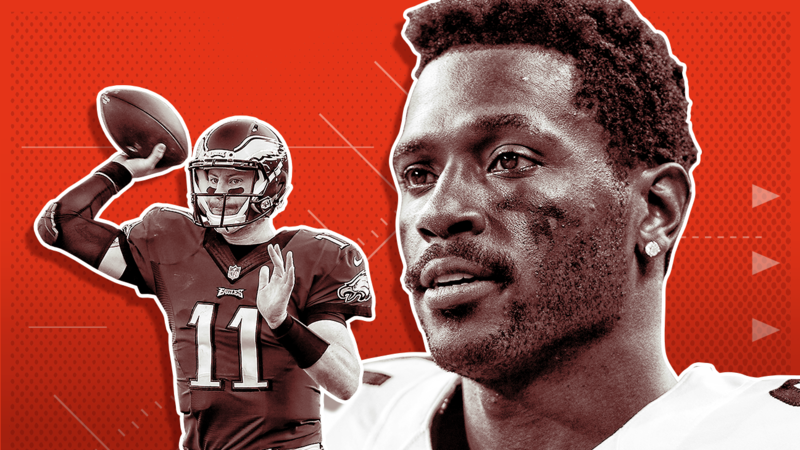 Despite having Tyrod Taylor -- whom the model likes -- as their likely starter to begin the season, the Browns have a 14 percent chance to earn the top pick in the 2019 draft. For Browns fans looking for some hope, there's this: The FPI currently considers Baker Mayfield the backup and treats all rookie quarterbacks the same. That's because there's quite a bit of uncertainty about quarterbacks who have never taken a snap in the NFL, but it also means that if Mayfield plays and plays effectively, that projection can change in a hurry. Of course, there's no guarantee that will happen. The Jets are in a similar situation, with Josh McCown labeled as the starter and Sam Darnold set as the backup. In the FPI's opinion, the Jets would be best off with Teddy Bridgewater starting under center, though it doesn't explicitly consider Bridgewater's injury. Is it lights out for teams that lose top QBs? At one point this offseason, a Tom Brady retirement seemed at least plausible. Had Brady actually hung it up, would the Patriots have been the Super Bowl favorites that they are today? Would they still win the AFC East? With the help of the FPI, the answer to those questions: no and maybe, respectively. We ran the model in a world where Brady called it quits, and not only were the Patriots no longer the best team in football ... but they fell all the way 18th. In the scenario, New England still had a 55 percent chance to win its division -- it helps to have just about the most feeble competition possible -- but only a 3 percent shot to win the Super Bowl (down from 18 percent in actuality). And that got us thinking, with FPI able to move quarterbacks around, what other alternative realities could we imagine? For example, staying in the AFC East ... what if the Jets had won the Kirk Cousins sweepstakes? They'd be better, that's for sure. But according to the FPI: still bad. Don't get us wrong: The FPI thinks Cousins is a good deal better than McCown or Darnold, but the quarterback is only one piece of the puzzle. Even with Cousins wearing green and white, the Jets would still be the 30th-ranked team and would have only a 16 percent chance to reach the playoffs (up from 10 percent). What if we know Carson Wentz is healthy to start the season? Or in Week 5? Or Week 10? We'll sum it up like this: The difference in the Eagles' chances to win, in the model's mind, between Wentz and Nick Foles is generally about 4 percentage points per game. After all, we've seen that Foles is a capable fill-in. In Week 1, we give Philadelphia a 65 percent chance to beat Atlanta with Wentz under center and a 61 percent with Foles. But all those percentage points do add up: We would project over 10 wins with 16 games of Wentz, but 9.4 if all 16 are with Foles. How much better are the Colts with Andrew Luck than without him? Quite a bit. The difference between him and Jacoby Brissett hovers around 11 percentage points per game. The Colts are about a seven-win team with Luck and just better than a five-win team with Brissett, so there's a real difference there. Luck is held in high esteem by the FPI, but, similar to the aforementioned Jets scenario, he isn't the only part of the equation. In order for the Colts to be playoff contenders, they'll need more than just Luck's health to break in their favor. A season ago the Patriots and Steelers squared off in what many presumed would be a precursor to a playoff showdown between the two teams. It never happened. But we will get another game between New England and Pittsburgh -- in Week 15, no less -- this season. And according to our pregame matchup quality metric, which considers the quality of the two teams in the contest, that is the best game of the year. But in terms of playoff chances, Patriots-Steelers is not actually the most important game of the year. For that, we can look at leverage -- the percentage chance to reach the playoffs each team can gain or lose depending on the result. And if we look at that, we get a whole different set of games with high stakes to look forward to in the upcoming year.